Chiropractic is a science that believes your basic health comes from within you. It maintains that this health principle is expressed through the nervous system, and the brain is the receiving and sending station. Normal health is a state in which there is no disturbance to nerve energy channels. The health principle must flow freely, the organs must also function normally. Chiropractic believes also that the spine is the key to the nervous system and therefore to health, because all nerve trunks are distributed from the spinal column. Falls and accidents sometimes cause a slight displacement of vertebra and disc, partially blocking nerve channels. This irritates or “pinches” nerves, disturbs the transmission of nerve energy, lowers body resistance, impairs function and may cause many conditions and much pain. Chiropractic scientifically locates and “adjusts” the spinal cause of many health problems. They generally use their hands to make the spinal adjustments which release the life force from within. Once the principle of God-given creative force is released, it tends to normalize functions and RESTORES HEALTH TO YOUR BODY. We understand that those new to chiropractic therapy may have questions or concerns. Here we address those more frequently asked, but if you have any others please contact us. No. Chiropractic is designed to take pressure off of joints and nerves. You might feel a little soreness after your treatment similar to exercising, but typically you feel less discomfort than when you came in. 2. Do I have to keep coming back? No. 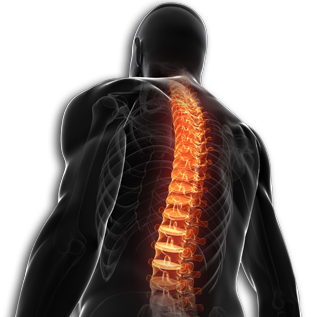 Here at Copley Chiropractic Clinic we will accurately diagnose your problem, and then we will give you a treatment schedule to correctly fix your condition. After we have completed your care, we will give you home exercises and stretches to prevent the problem from reoccurring. While some of our patients will come in periodically for maintenance care, it is not required. 3. Are chiropractors licensed professionals? Yes. Both Dr. Richard Arny and Dr. Curtis Arny are licensed by the Ohio State Chiropractic Board. 4. Does insurance cover chiropractic? Chiropractic is covered by most health insurance plans as well as auto insurance and workers compensation plans. Dr. Arny is a preferred provider on almost all major medical, PPO and HMO plans. Please call to find out your specific benefits. Both doctors are BWC certified. 5. Is it ok to see a chiropractor if I am pregnant? Yes, chiropractic is safe and beneficial for the mother and child. Chiropractic helps relieve the back pain that can occur from the weight gain during pregnancy. It also helps ease the delivery of the child. Using the “Webster Technique”, Dr. Arny has also helped women with breach children deliver normally. 6. Is chiropractic care safe for children? Yes. We treat patients from newborns to senior citizens. Children are exposed to various degrees of trauma from birth, to learning to walk and ride a bike, to playing sports. These minor incidents add up and can cause problems to developing spines. Chiropractic is uniquely suited to help children develop correctly without drugs or surgery. 7. Do chiropractors prescribe drugs or do surgery? No. Chiropractic is the largest drugless healing art. If drugs or surgery are needed to treat your condition, we will make the appropriate referral to the necessary physician. Dr. Arny has working relationships with a variety of healthcare providers to provide for all of your needed care. He also does not have a problem working with other physicians of your choice. 8. How much does a visit cost? The initial examination is between $40-$100 + x-rays (if needed). Subsequent adjustments are $40 + physical therapy (if needed). 9. How long does a visit take? The initial visit will take between 30-60 minutes. Subsequent visits will typically be between 15-30 minutes. 10. How long does it take to be scheduled?